So you have a swollen eyelid. Now if your eyes are actually HOT 🔥,and red and swollen, you will need to get them checked. It’s not normal to have a red ring around your eye, for your eyelids to be hot to the touch or to have pain when you look around. Fever? 🤒 Get checked! If you have these symptoms you could have a serious infection and you should call your provider to be checked out. Next is the itchy eye 👁. The itchy eye usually hits in the spring and fall when pollen 🌺 is coating your every belonging and your eye becomes a hot swollen mess. Itchy swollen eyes can be caused by seasonal allergies. You may not even realize you have been rubbing those poor delicate eyes all day and night. Now they are itchy and watery and maybe a little goopy. A cool compress and some Zatidor eye drops are going to help calm the urge to itch, and will help with that puffy eye look you have going. You can find Zatidor drops over the counter at your local pharmacy. Let us know if you need help deciding on starting over the counter (OTC) Zyrtec or Claritin, which will help with general allergy symptoms such as itchy eyes, runny nose, and sneezing. Benadryl is an antihistamine— it is also an option for quick relief of itch. We can help guide you on this OTC as well if you aren’t sure when to take it. Relief is close! 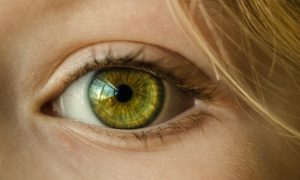 If you are noticing yellow goop, or your eyes are sticking together and you feel like your eyes are about to be swollen shut (ew gross), this could be conjunctivitis. Now, conjunctivitis can be caused by a virus or bacteria. If it’s a virus, it will typically move from one eye to the next over about a day and then start to clear up. Usually, it’s bright red and runny. It clears as quickly as it starts. Normally if you wait 24 hours you can save yourself a visit to the doctor’s. If you find that you have nice pink eyes 👁, your eyelids are swollen, you have yellow drainage from both eyes 👀 and it lasts more than 24 hours with no end in sight, this is probably bacterial conjunctivitis and you will need antibiotic drops or ointment. Some people call this “pink eye.” Usually, pink eye happens when someone lets one rip 💨 on your head. Just kidding, that’s just a rumor. You likely just touched something gross and then touched your eye. 🖐🏻 Good hand washing is a great way to prevent the spread of germs! If your child who is under three years old has yellow goopy swollen eyes, they also might have an ear 👂🏻 infection. If they are totally happy and sleeping 💤 well with no signs of a boogey nose 🤧, then it might be just the eyes 👀. Unfortunately, it’s common for boogery kids to have both an ear infection AND conjunctivitis. You are likely going to have to be seen for the eyes regardless of other symptoms, but especially if your little booger has boogers, a cough, runny nose or fever. Your little one 👶🏼 will likely do better with greasy messy antibiotic ointment, but if you can coordinate with a helper, the antibiotic drops are easy and quick if you have good aim! They both work equally great! Your child will be contagious for 24 hours after starting antibiotic drops. Wash your hands and clean the doorknobs– you can get it too! To treat her swollen eyelid, make a paste with water and baking soda and apply to the bite. Get those frozen peas out again and ice that eye. The swelling should start to improve over the next 24-48 hours. Eyelid swelling from a big bite shouldn’t worsen as the days go on. Instead, the localized reaction should improve. Also, no fevers 🤒… well because that’s not normal with a bug bite. Got a fever? Call📱! If you’re not sure whether your swollen eyelid is from a bug bite, allergies or something worse…like an infection… reach out to us. We can help hash this out. 📲 You need your eyes forever. 👀 Take care of them. Get them checked. It’s not worth the risk! Anytime you have eye pain (pain in the actual eyeball), a deep beefy redness around the eye, swelling that is worsening, fever, lots of colored drainage or changes in vision, someone needs to see you.